Get the best accommodation in Hong Kong – whatever your travel budget. Hong Kong is a special administrative region (SAR) of China. There is much to do and see in this international city. 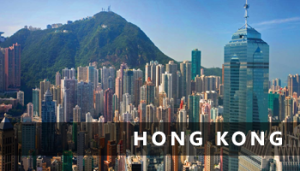 To make the most of your trip, you’ll want to look over our budget hotels in Hong Kong, so you have somewhere to stay as you explore the busy streets, the smaller islands and the New Territories that make up this fascinating trading city. There is more to Hong Kong than just shopping. Take the tram to The Peak on Hong Kong Island for fantastic views across to Kowloon. Visit the quaint seaside town of Stanley and its market or explore the delights of traffic-free islands such as Lamma. The larger Island of Lantau hosts Hong Kong International Airport, Disneyland Hong Kong plus the “Big Buddha” near the Po Lin monastery, reached on a spectacular cable car ride from Tung Chung MTR station. There is a huge range of hotel accommodation in Hong Kong and you a sure to find something to fit your travel budget. Even 5 star and luxury hotels offer deals and discounts to fill rooms at quieter times of year. Try to avoid Chinese holidays when the city becomes very busy and expensive. Use our search box and choose “price” as the sort order and you may be surprised by what fits your budget. Most of the hotels are to be found either on Hong Kong Island, the business centre of the territory or across the harbour in Kowloon. Hong Kong has a clean, efficient subway system that takes you all around quickly and cheaply. On Hong Kong side the area of Wan Chai has several tourist class hotels. This are is convenient for the Happy Valley racecourse. Wan Chai also has a ferry service across to Kowloon. On the Kowloon side of the harbour there are many grand hotels lining the waterfront, looking over to Hong Kong Island. The famous original Peninsula Hotel sits near the ferry terminal. Cheaper tourist hotels line the important shopping street, Nathan Road in Tsim Sha Tsui, leading up to the MTR station at Jordan. Two unusual, but great value places to stay are normally associated with hostels but are actually 3+ star hotel standard in Hong Kong (and well justified). The Salisbury YMCA Hotel has an enviable position between the Kowloon ferry Terminal and the Peninsular Hotel. Many rooms have harbour views. The BP (Baden Powel) Hotel sits on Austin Road, on the Edge of Kowloon Park. This towering building houses the headquarters of the Scouts Association in Hong Kong plus a 3.5 star hotel on the upper floors.